Don’t panic Italian luxury fashion house Versace which was founded in 1978, isn’t about to become Michael Kors –we won’t see Versace prints on Michael Kors handbags, but Michael Kors Holdings has acquired the iconic family-run brand for $2.12 billion. 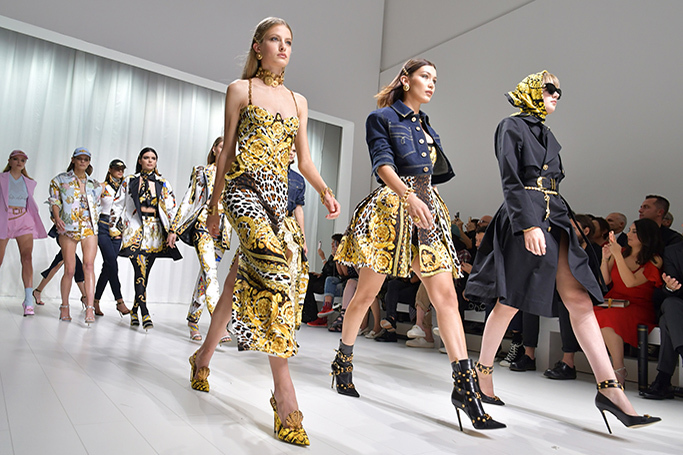 Versace joins London shoemaker Jimmy Choo and Michael Kors in a new company which includes all three brands named Capri Holdings, inspired by the famous island destination for A-listers and fashionistas. The Versace family will become shareholders of Capri Holdings Limited, with Donatella Versace keeping her title as creative director of the fashion house. Donatella’s iconic style is at the heart of the design aesthetic of Versace, which is something Michael Kors insist on building upon in their new partnership. Versace was founded by Gianni Versace 40 years ago, as the label built its reputation by dressing some of the world’s most stylish women, including Princess Diana, Demi Moore and Elizabeth Hurley. Since Gianni’s death, the Italian brand has been run by his sister Donatella, his brother and niece. Fans of the luxury label are concerned that Versace’s glitz and signature Italian glamour doesn’t fit with the all-American, affordable luxury label that is associated with Michael Kors. Chairman and chief executive of Michael Kors, John Idol, said buying Versace was a pivotal milestone for the company, as it will create a “family of luxury brands” under one successful umbrella. Donatella Versace described the move as "a very exciting moment for Versace." Continuing that “being part of this group is essential to Versace’s long-term success," despite concerns over the loss of the brands heritage and culture.